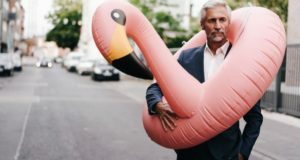 Finnair is introducing a range of new amenities for business-class passengers while continuing its longstanding partnership with the Finnish design house Marimekko. 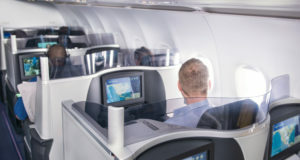 This coincides with the launch of the airline’s new service between Helsinki and Los Angeles on March 31, but the amenities will be rolled out for all trans-continental flights on Airbus A350 and A330 aircraft. 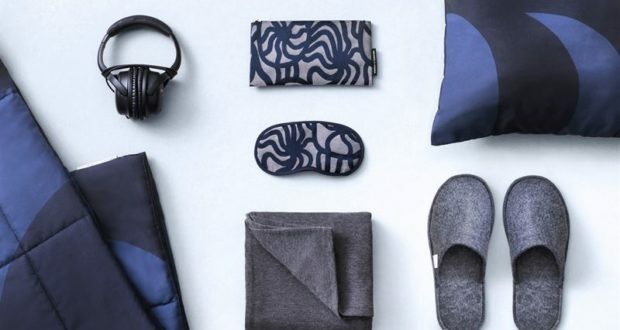 They are designed to complement the new “sleep textiles” in Finnair’s long-haul business class, which feature the “classic Kaivo print in a dark blue tone on tone colourway,” the carrier says. The Kaivo print was designed by Maija Isola, who the airline calls “one of the most iconic Marimekko designers”. Amenity kits and eye shades feature four different Isola designs from the 1960s, Rautasänky, Joonas, Jenkka and Pieni Melooni, with each pattern in two different colourways. “A jacquard weave technique brings dark blue together with a second colour in each of the eight combinations, for a premium look with a collectible feel,” the airline explains. 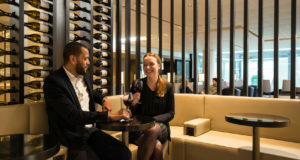 “We wanted to introduce more patterns more often, so there is something new and fresh for our frequent flyers,” says David Kondo, head of cabin interior development at Finnair. Meanwhile, L:A Bruket skincare products will be featured in Finnair’s lounges, aircraft cabins and amenity kits. L:A Bruket is described as a “natural and organic skincare brand” from Sweden. 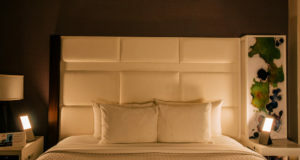 Each kit includes aluminium tubes of almond-coconut lip cream and a chamomile-lavender facial hydrator, while an L:A Bruket soap and hand cream will be in the onboard business-class toilets, airport lounge bathrooms and shower suites with “scents of cucumber-mint, lemongrass and grapefruit leaf”, chosen to “help customers feel refreshed and invigorated”.